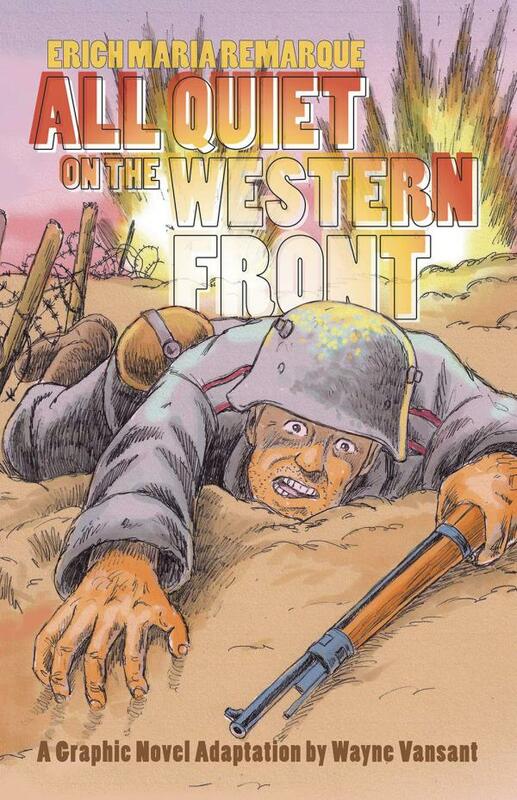 The estate of Erich Maria Remarque sanctioned this adaptation of the author's 1928 novel of the same name a tale of WWI trench warfare retold here by cartoonist Wayne Vansant, a Vietnam veteran. Caught up by a romantic sense of patriotism and encouraged to enlist by authority figures who would not risk their lives to do the same, Paul Bäumer and his classmates join the fighting in the trenches of the Western Front. He is soon disenchanted by the constant bombardments and ruthless struggle to survive. Through years in battle, Paul and those he serves with become men defined by the violence around them, desperate to stay as decent as they can while growing more and more distant from the society for which they are fighting. Hailed by many as the greatest war novel of all time and publicly burned by the Nazis for being "degenerate," Erich Maria Remarque's masterpiece, All Quiet on the Western Front, is an elegant statement on a generation of men destroyed by war.